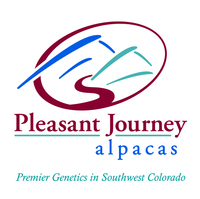 After 9 years in the Alpaca business we have changed our business tag line to read: "Premier Genetics in Southwest Colorado". It has always been our goal to improve our herd and add genetics that would accomplish that goal. 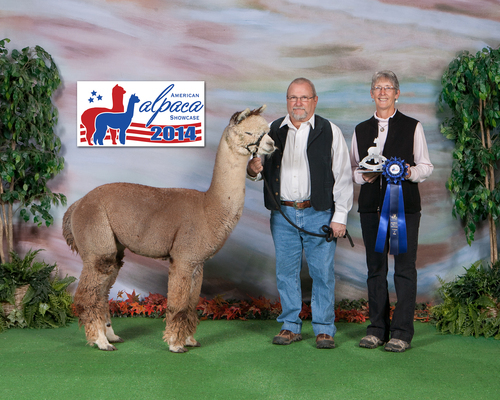 This year we were proud to add Annual's Bea-2 Bomber to our Herdsire row co-owned with our wonderful partners (Willow Wind Farm, Gray Alpaca Company, Las Flores del Altiplano). 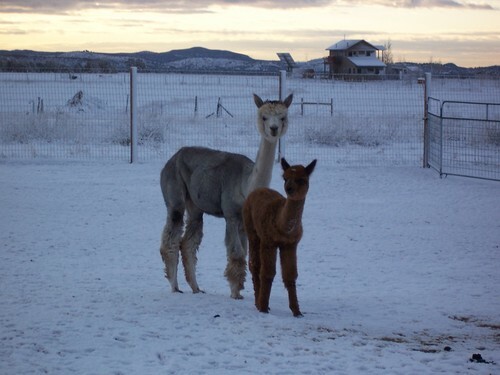 We will also see our first offspring in 2016 from PJA Golden Victory's Kiowa (fawn) and Paragon's Silver Storm (Silver Grey). 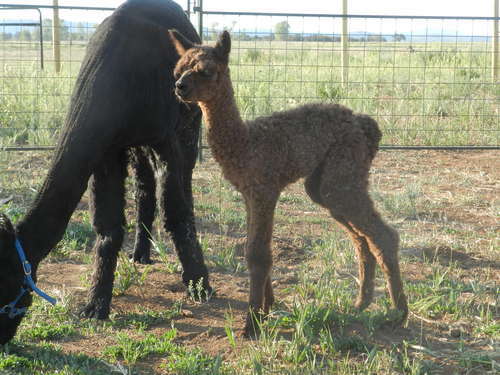 Annual's Chrome Finish (Silver Grey) has started his breeding career this summer as well (co-owned with Gray Alpaca Company). 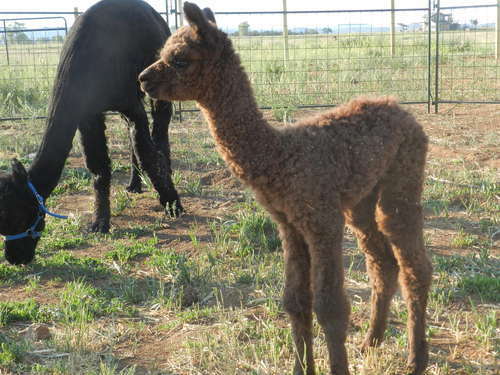 Our 2016 cria crop has the Premier Genetics that we strive for! 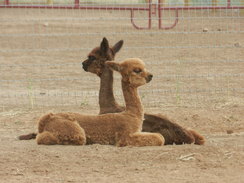 Needless to say we are excited about these cria and what their future will bring. 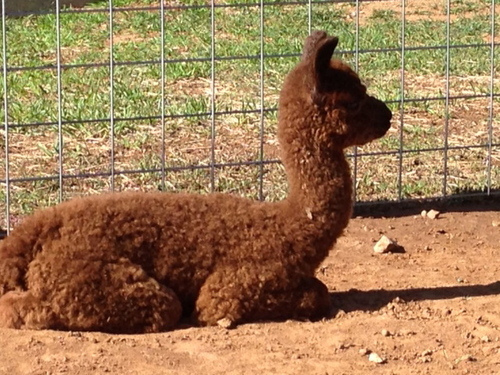 Come and see us at Pleasant Journey Alpacas. 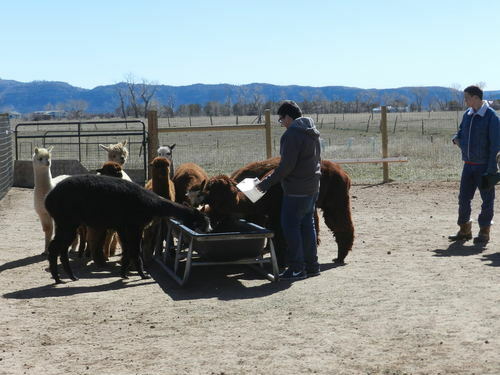 While the average person thinks of seasons changing being spring to summer and winter to fall, the typical alpaca rancher tends to think of seasons much differently. 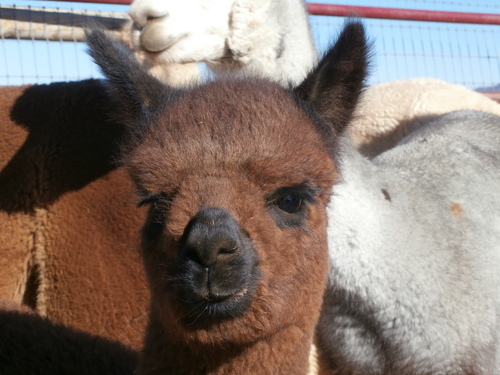 At Pleasant Journey Alpacas we think of show season, shearing season, cria season and breeding season. A lot of us who are active in all of these aspects on the ranch do this same thing. Show season is a fun time of the year. 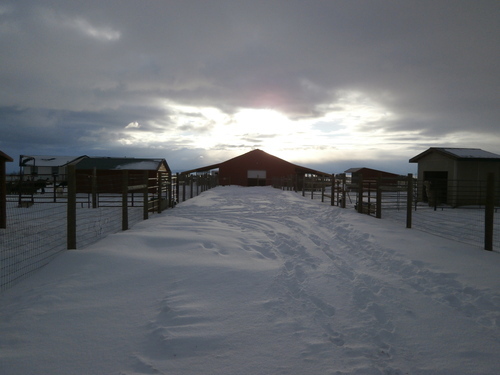 It is the time to showcase your ranch, breeding program and to interact with fellow breeders. For us, this runs from October to May with a few breaks during the winter. 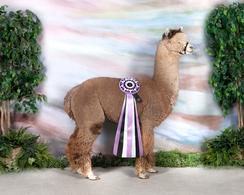 While show season is work with the travel, loading and unloading, it is rewarding with the benefits of ribbons and accolades to your program. Disappointing at times, yes, but it also makes you open your eyes and not to be "barn blind" with your own alpacas. 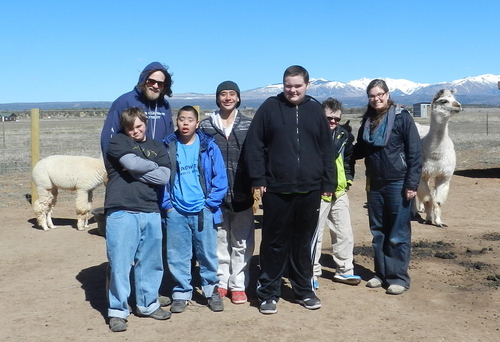 Great time to see what other ranches are doing, how their programs work and look to see what to strive for. 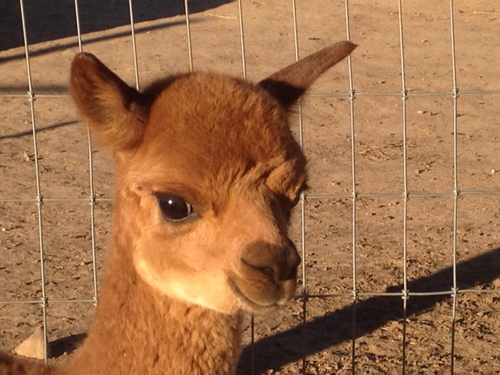 Time to meet other breeders and become more involved with the alpaca breeders across the country. Shearing season is the time for harvest. 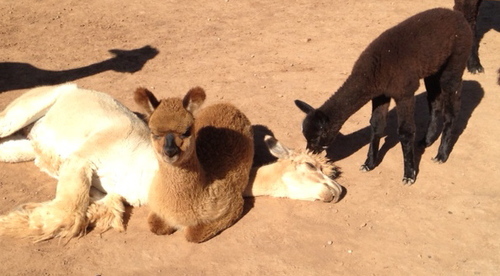 This is when you look at your alpacas in a totally different way. Yes, they are funny looking for a few days after shearing with the long skinny necks, legs and bodies but you sure can see their conformation. Sometimes we forget what our alpacas actually look like. This is a great time to really assess the crias. 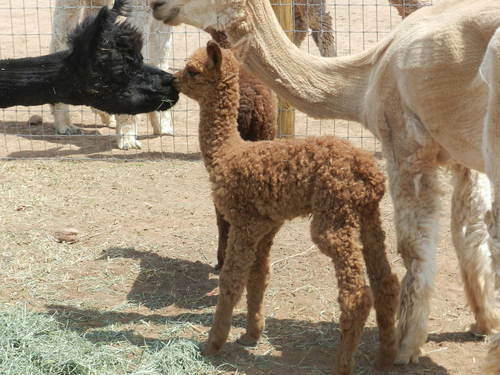 For instance, we have been told at shows that a cria has front legs that look angular when in actuality is was the way the fleece was growing on legs that made them look that way. 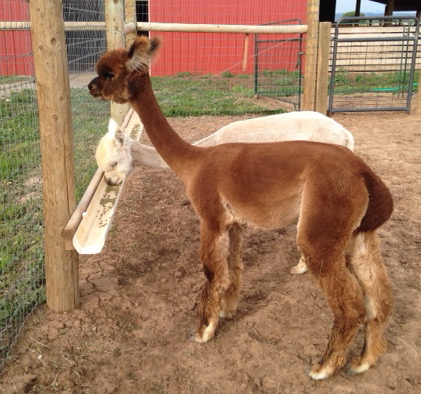 Once that fleece comes down you see the legs at front and back. You see the straight backs and great conformation. Yes, you also see the flaws which brings you to the reality too. 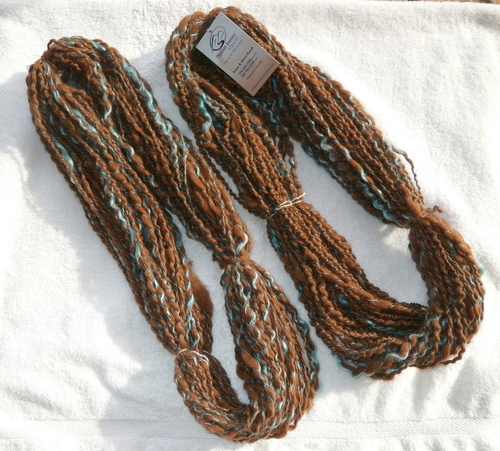 Shearing and having your fleece harvest in front of you is the best way to evaluate your fleeces. 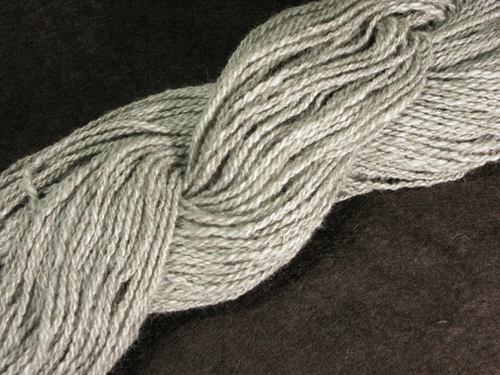 Take a good solid look at them on the skirting table, check the uniformity, check the length, check the brightness and all aspects that make a beautiful fleece. Send the histograms for statistics to see what improvements might need to be made. Then, decide what to do with these lovely fleeces. 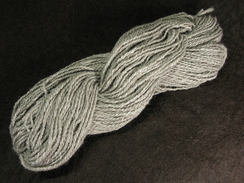 Yarn, roving, batts, sell the fleece- the choices are endless. 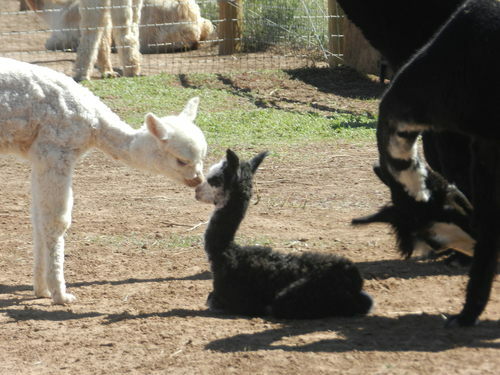 Cria season is such a fun time of year! No kidding to anyone, it can also be stressful and heartbreaking too but most of the time it is filled with total joy. Watching the incredible births and how quickly the moms and crias bond. See the little ones stumble and tumble while getting their legs under them is absolute fascination. Watching the new cria find that milk bar for the first time is when one can breath a sigh of relief. 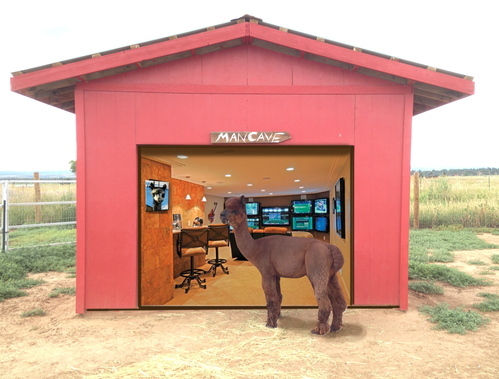 No one needs a television when you have a pen full of crias running and learning to pronk. That is entertainment beyond belief! 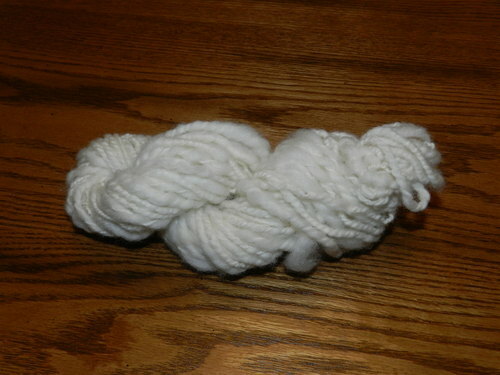 It is funny how we will check the fleece everyday to see how it looks! Did our chosen breeding for a certain dam create what we hoped and planned for? Sometimes we know right away, sometimes we don't. 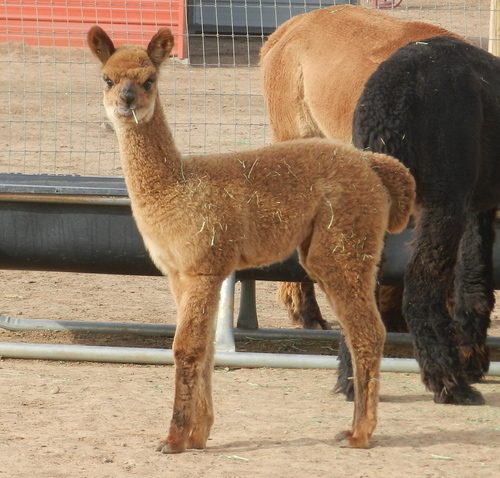 Breeding season kind of overlaps with cria season as we usually rebreed the dam right away. Lists are created all year with the thoughts of who will get the nod to breed to a certain dam. 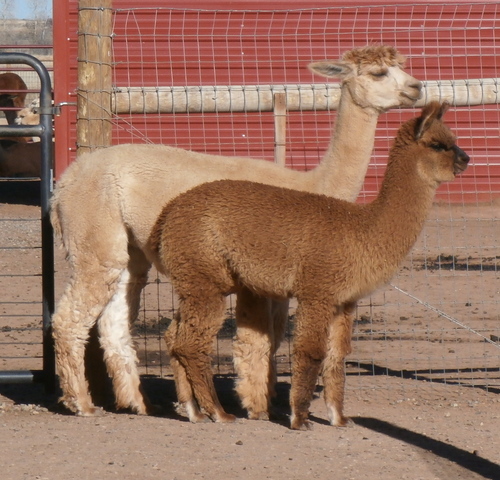 Although there are times that we wait for the cria from a dam/herdsire combination before we make a full determination on the next breeding. If it is what we planned for, time to rebreed same combination! 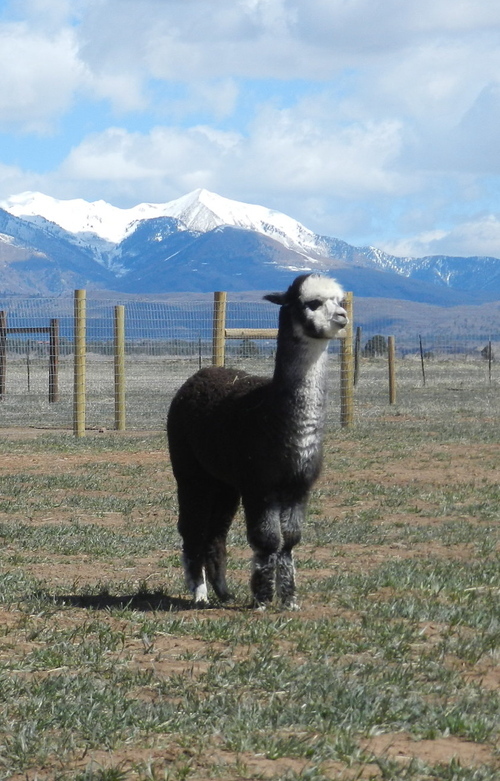 Some dams are slated to go off the ranch for breedings to a herdsire who brings characteristics that we want to bring into our program and who we feel will be a great fit to our dam. 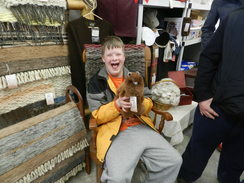 Improving quality is what it is all about! Whatever the season- alpaca ranching is awesome! Laughter, tears, joy and yes, hard work all year but so awesome! Embrace these incredible animals that God put on this earth! It is the last day of July already and as always we wonder where the summer is flying off to! It will be fall before we know it. 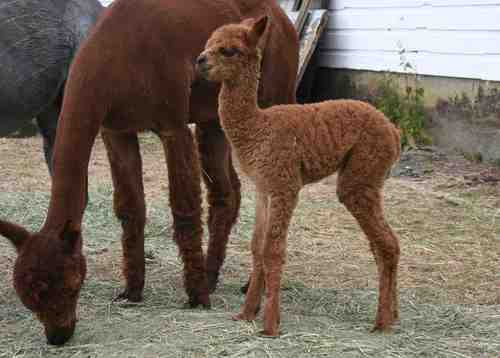 So far only one of our 8 cria has arrived but she is a beauty. 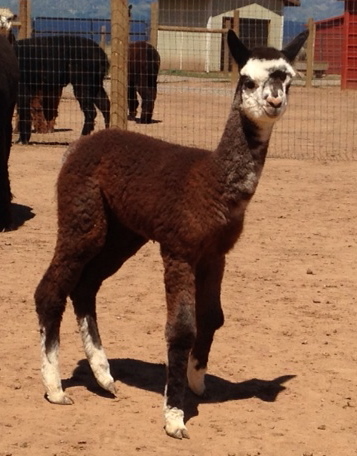 Finally the first offspring from our herdsire NeverSummer's Manchester. She is all we hoped for and is quite the little girl. 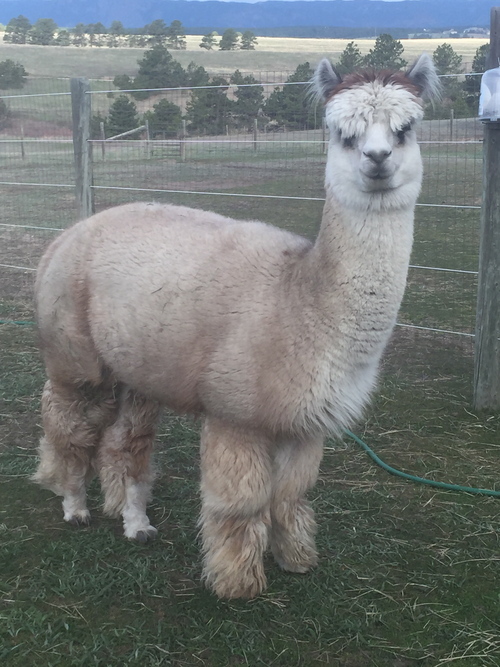 Strong and big, showing awesome fleece. Starting life at a wonderful 19.4# she grew to 30# in 3 weeks. But oh, she wants a playmate so badly! Meet PJA Manchester's Marnie! 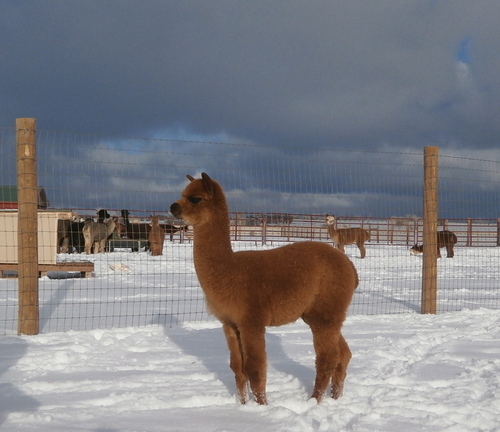 Yes, we are on cria watch. At this writing, we have 2 overdue females and another due mid August. And they are all just taking their dear sweet time! 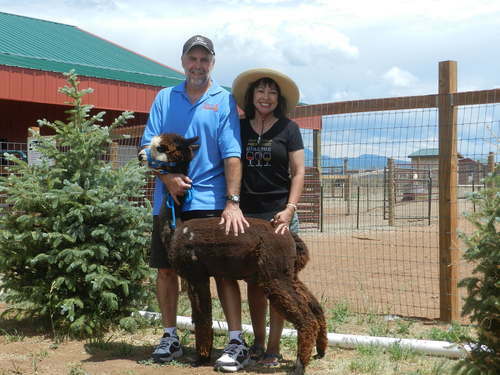 Big Bellies abound at Pleasant Journey Alpacas! 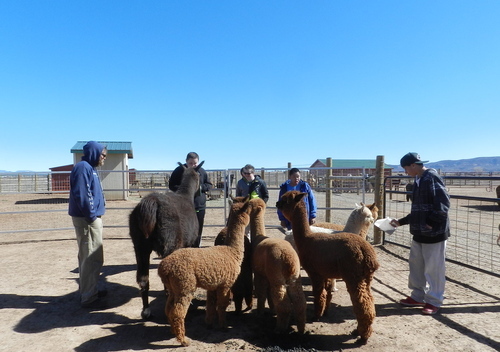 Summer activities at Pleasant Journey Alpacas have included some wonderful ranch tours and awesome visitors. 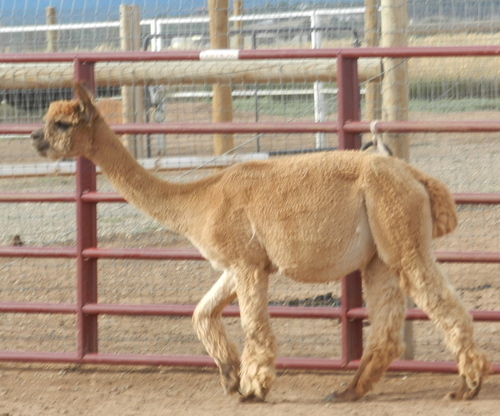 People from all across the country visit the Durango, CO area and they come visit the ranch and meet the alpacas. 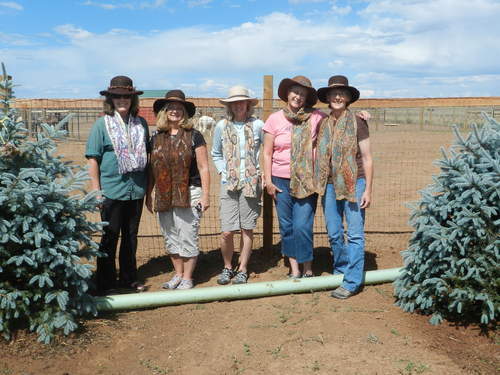 Currently we are gearing up to have a vendor booth at the LaPlata County Fair in Durango. 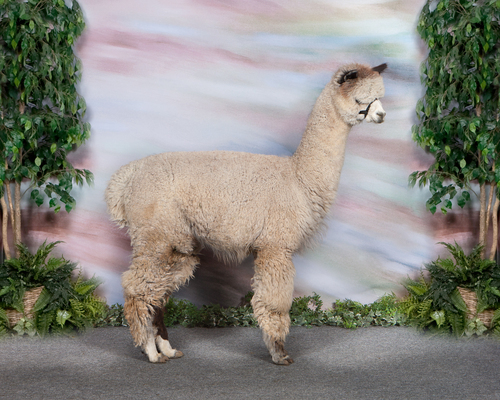 Should be a fun 5 days and hopefully we will reach out to many people including some who want to get into the alpaca business! 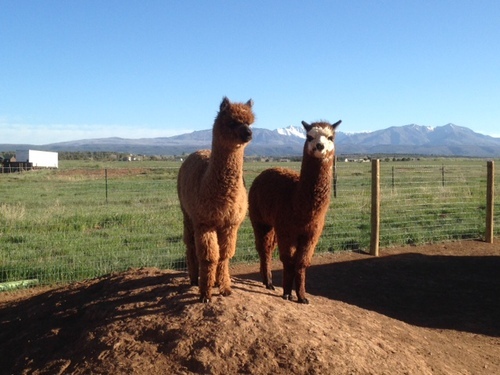 Enjoy the rest of the summer and keep an eye on our blogs and pages for more news from Pleasant Journey Alpacas!